Midfielder Sean Derry is the Head Coach and had a long 650 plus game career from 1995-2013 notably with Notts County, Crystal Palace, Leeds United and Queens Park Rangers. 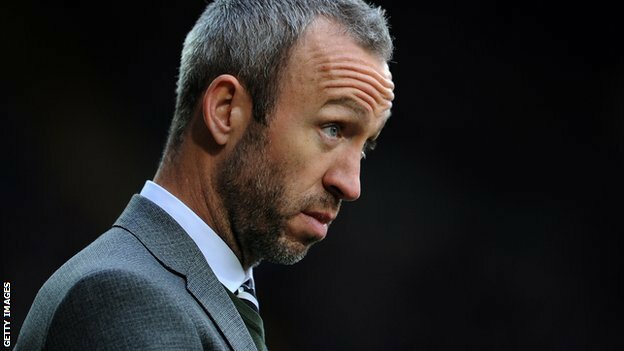 His first taste of management was at County before he took the reins at Cambridge in November of this year. Take the M11 and come off at junction 11. Pick up the A1309 towards Cambridge. Pass through the village of Trumpington and turn right onto the A1134 (Long Road). After about a mile you will come to a roundabout, turn left onto Mowbray Road (still the A1134) and just follow this road. It becomes in turn Perne Road, Barnwell Road and Brooks Road, remaining as the A1134. At the end of Barnwell Road turn left onto Newmarket Road and the ground is on the left after about 400 yards. Very limited at the stadium but plenty of parking is available at the various DIY stores and Tesco on Newmarket Road. Cambridge train station, which is a direct service from Kings Cross and takes under an hour, is a long walk away (over 2 miles) from the Abbey Stadium. I've done it twice, you need refuelling on the journey!. However the bus services are frequent and the number 3 is the bus that stops outside the ground. Journey time approx 30 minutes. Taxis are plentiful but expensive about £10 made for sharing. The nearest pub to the ground is The Wrestlers. It’s very friendly but sometimes becomes home fans only before some games. Normally it has a fantastic real ale selection and does excellent Thai food. The supporters club at the ground is normally members only pre match although if you can talk your way in it is tardis like in its size and very comfortable. The Green Dragon about a 15 minute walk away (cross Stourbridge Common and over the river via the footbridge) is normally a good bet for traditional pub food. For those coming by train the walking route above will take you through a rabbit warren of streets in the Romsey area of town. This is littered with some lovely real ale boozers which are worth a look. 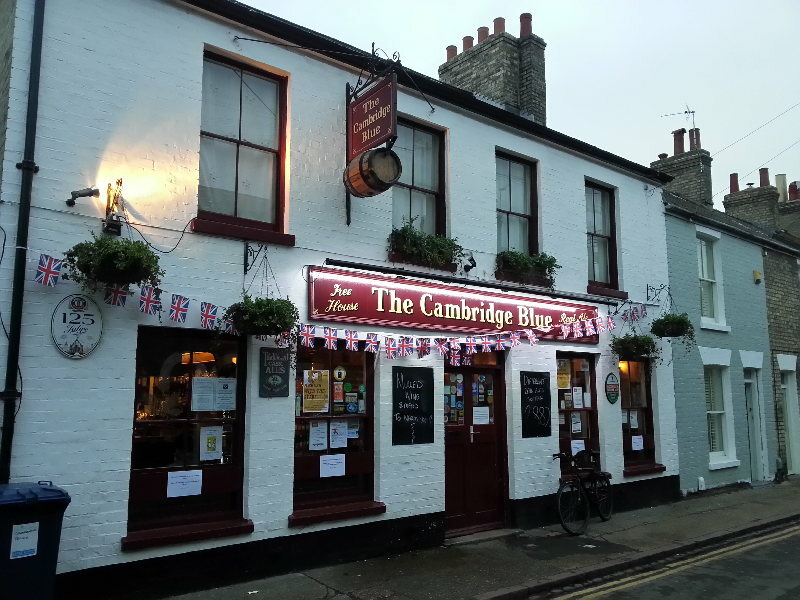 In particular The Salisbury Arms on Tennison Road, The Devonshire Arms on Devonshire Road, The Kingston Arms on Kingston Road and The Cambridge Blue on Gwydir Street. United moved to their existing home in 1932 where is remained fairly undeveloped for nearly 30 years. The Main Stand on one side is a covered two tiered all seated stand, part of which is used as a Family enclosure. It was first built in 1965 and extended in 1969.Opposite is the Habbin Stand, it is fully covered although there are a number of supporting pillars. The northern end of this is allocated to home fans. When large away followings are expected the southern end is given to away fans. To the left of the main stand is the South Stand, which was opened in 2002. It bears a similar resemblance to a stand at Brisbane Road. It is all seated and replaced a former shallow open terrace that I am sure some of our older supporters will remember from the neck ache sustained and felt on the way home! It will be our home for the game. The North Terrace at the other end of the ground is covered and is reserved for home fans only. However, it only runs for half the width of the pitch finishing in line with the eighteen-yard box. Open terrace completes the picture. The last visit was in March 2014 when Crystal Palace loanee Connor Dymond's screamer was the feature of a fine 1-1 draw. The ground holds special memories for older Bees fans in that the 3-0 re-replayed 3rd round FA trophy tie against Boston United in February 1987 was held at the Abbey. It was one of the greatest Barnet performances and David Sansom's finest hour in a Bees shirt, two superbly taken goals and a what a headband! Barnet knocked Cambridge United out of the LDV competition in January 2000 in the first round with a golden goal from Frazer Toms. Barnet also knocked Cambridge United out of a 1st round FA Cup tie in 1965 at Underhill 2-1 in front of over 6,000 but that was even before my time! 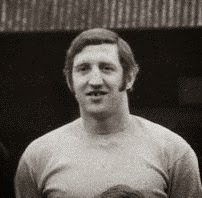 The great Billy Meadows has always said that he scored the perfect hatrick there in April 1970 , left foot, right foot and header, but we ended up 3-4 losers on the day! Another fine performance was in September 1997 with Phil Simpson resplendent and a 3-1 away win thanks to King Kenny Charlery, Greg Heald and Sean Devine. Famous people connected with Cambridge and surrounding areas are 10 a penny including Comedian Rory McGrath, who can often be spotted cycling round town, Lord Jeffrey Archer, Terry ‘overgrown allotment’ Waite, Sid ‘Ricky Butcher’ Owen, Original 1960’s Pink Floyd frontman Syd Barrett (See Emily Play is a monster record), Don ‘Sing Lofty’ Estelle, Ian ’Don’t tell him Pike’ Lavender, Rory ‘please be all over’ McGrath, and Professor ‘this chair talks’ Stephen Hawking. John Halsey the drummer from the Beatles TV spoof tribute band The Rutles was allegedly the governor of the Castle Inn public house – now that is cool. My thanks go to Graham Steed, or “Edd” as he is known, for his significant contribution to this guide.